I have heard nothing but good things about The Blind Rabbit, and I have had lots of friends tell me I needed to go there, so we did! They have 2 locations, one at the beach and one in Riverside. We visited the Riverside location since it was closer to home. We decided on the Poutine for our appetizer. For those of you unfamiliar with a Poutine, it is Hand-Cut Fries, Pork Belly, Tasso Ham, Cheese Curds, and Gravy....aka delicious! The gravy had a very nice taste and the fries were crispy. I got The Holick Burger for my entree. It had a Sunny Side Egg, Intuition Braised Pork Belly, Tomato, Arugula, Homemade Bread & Butter Pickles, Lemon Aioli, on a Brioche Bun. 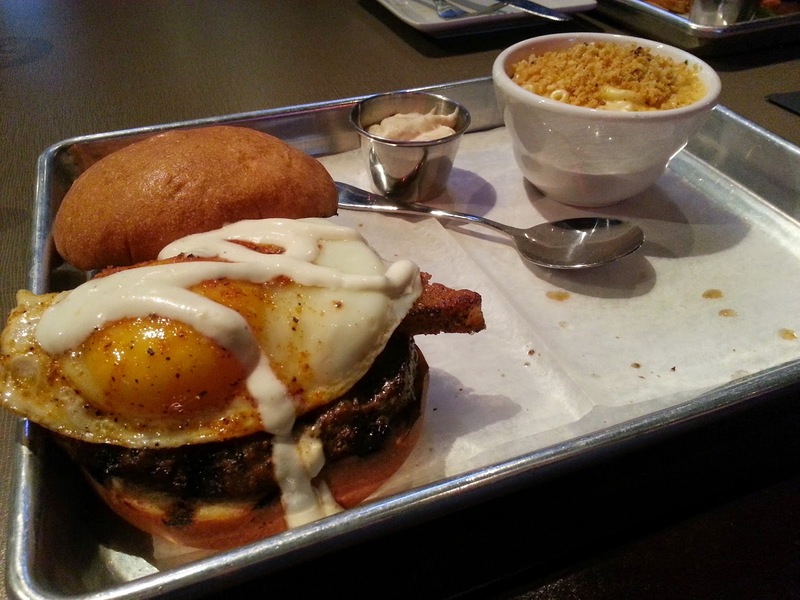 I thought the burger was very good, but it didn't really need the pork belly. I don't think it did anything for the burger and it wasn't very flavorful. However, the rest of the burger was great. I got mac and cheese on the side. It was very creamy and the topping was crunchy and flavorful. 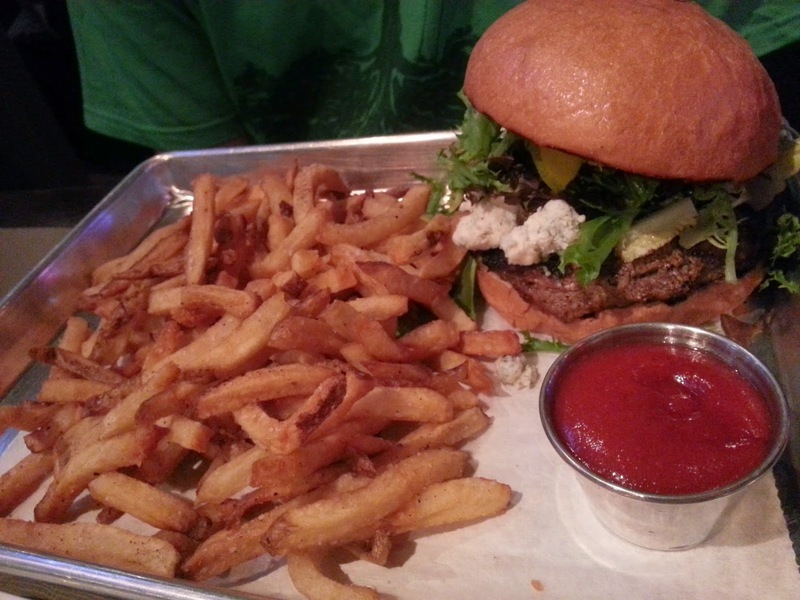 My husband got the Blues Burger, which had Maytag Blue Cheese, Caramelized Onions, Lettuce, Tomato, Homemade Bread & Butter Pickles, and a Brioche Bun. He has been craving a good burger and said that this one hit the spot! He got fries on the side. We really liked everything and were pleasantly surprised. We didn't try any whiskey on this trip, but they have a very large whiskey menu for those who are interested. While the prices are not outrageous, they are a little higher than some burger places in town. Still, I think it is definitely worth it. We plan on visiting again soon! I currently live in south Florida and my family and I are looking to move to Jacksonville next year for my job. My fiancé and I have two small children so we are constantly searching for new restaurants to check out for date nights. I came across reviews that you have on Urbanspoon and it led me to your blog. 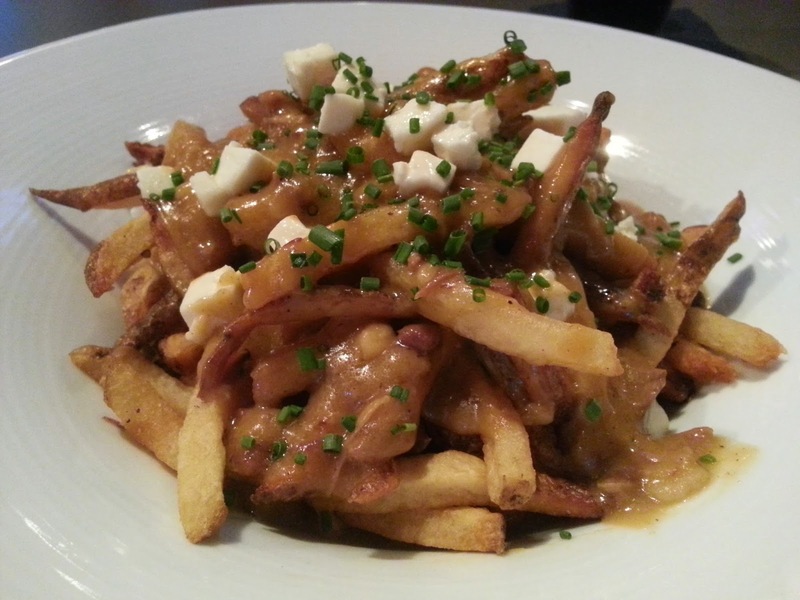 I have got to say…I had never heard or seen “Poutine” before and it looks amazing! My fiancé would LOVE to try it, plus we love a good burger place. Great blog! I can’t wait to check out some of these restaurants when we move up there. Hi Anna! Thank you so much for taking the time to leave me a comment! Yes that poutine was absolutely delicious. Definitely a winner.